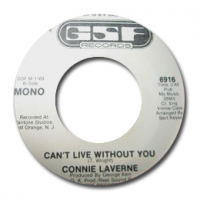 Connie Laverne is one of my favourite soul singer with her "can't live without you" that she recorded on GSF in 1975. 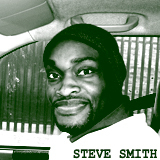 This single was produced by the fantastic George Kerr and also sang later by phyllis hyman. Phyllis has only issued her version on CD in between the heartaches - the soul of a diva. However, in 2004, the UK label "Expansion" has had the good idea to re-issue theses 2 nuggets on one 45's.